Having done guiding at Chek Jawa boardwalk since late 2009, I have never stepped onto the shore before. Today I got the opportunity to do so thanks to Ley Kun, the Mama Crab of the Naked Hermit Crabs. 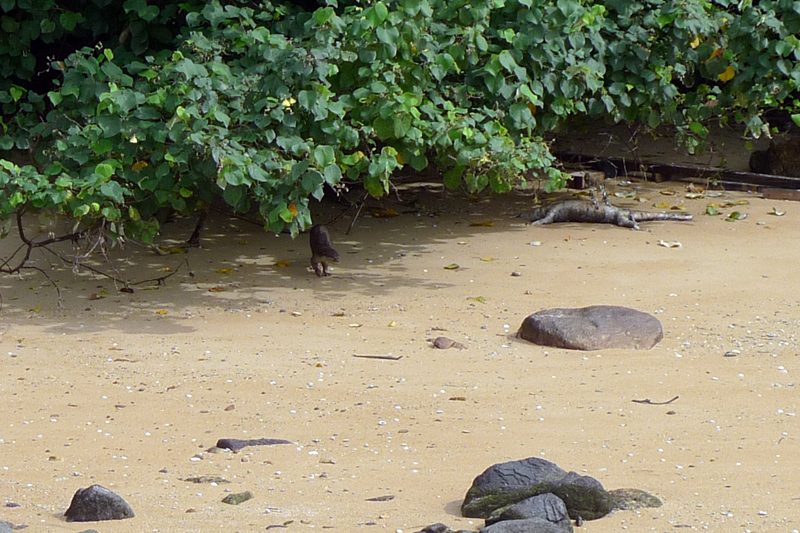 Many animals were out and active today at Chek Jawa. 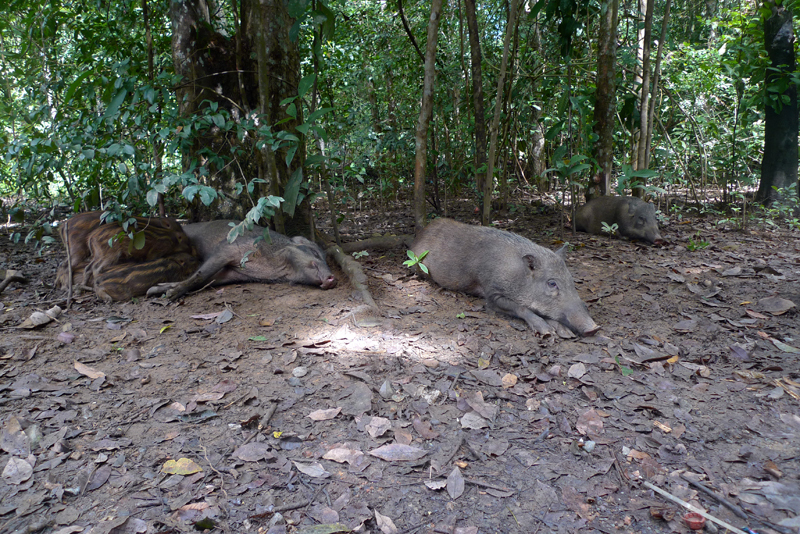 The first animal we encountered were the Wild boars (Sus scrofa) right at the start of the boardwalk. The piglets still have their watermelon strips on. They were looking for food for quite sometime here. 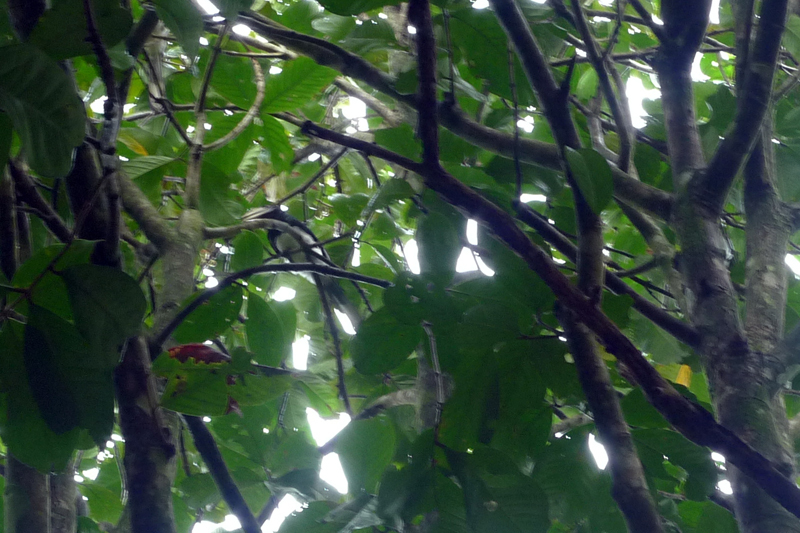 Reason: Because of the Oriental pied-hornbills (Anthracoceros albirostris) that were feeding at a tree above. 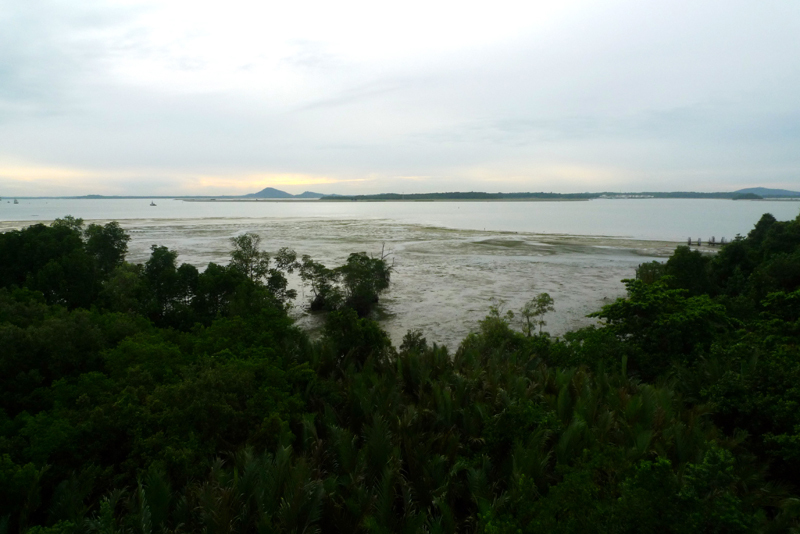 From the Jejawi tower, we can see the exposed shore of Chek Jawa. 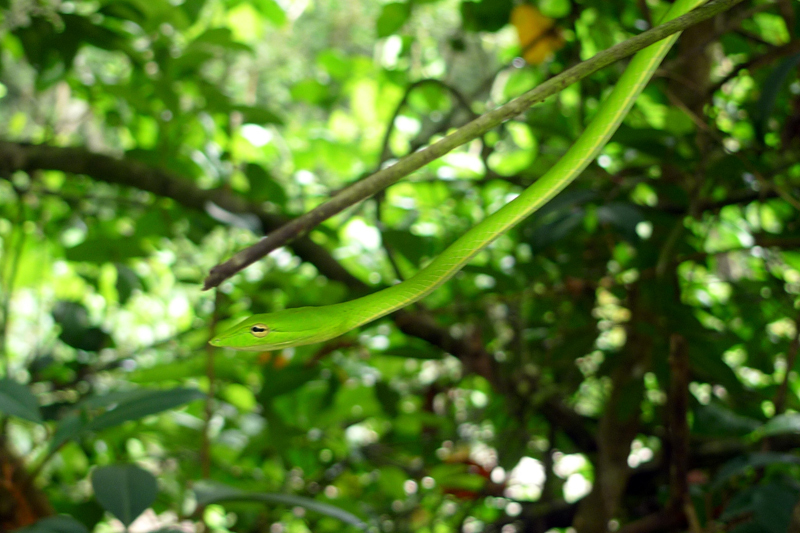 Finally, after so many guided walks at Chek Jawa, I got to see the Oriental whip snake (Ahaetulla prasina) up close. It was hanging from some plant at the plant arch leading to the seagrass lagoon. There were traces of wild boar digging near the sonneratia tree. On the shore, preparations have already been done to avoid visitors from trampling all over the place. 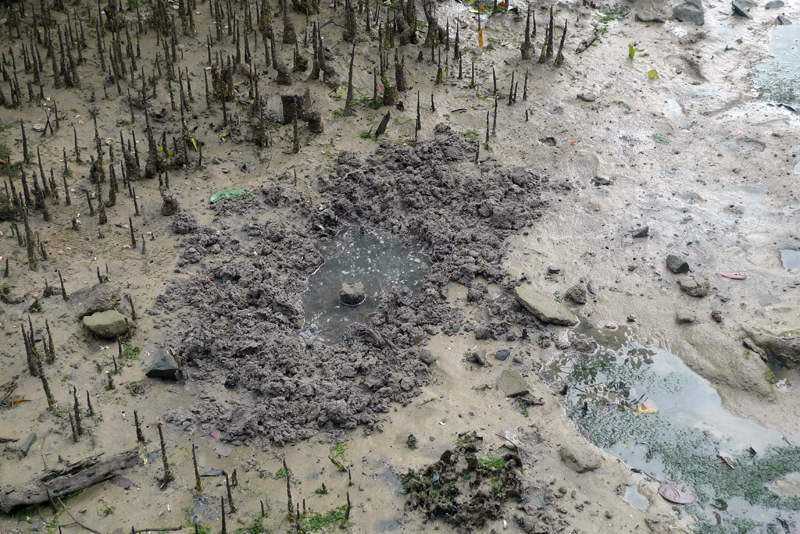 There were various stations setup to show visitors the marine animals that can be seen on the shore. 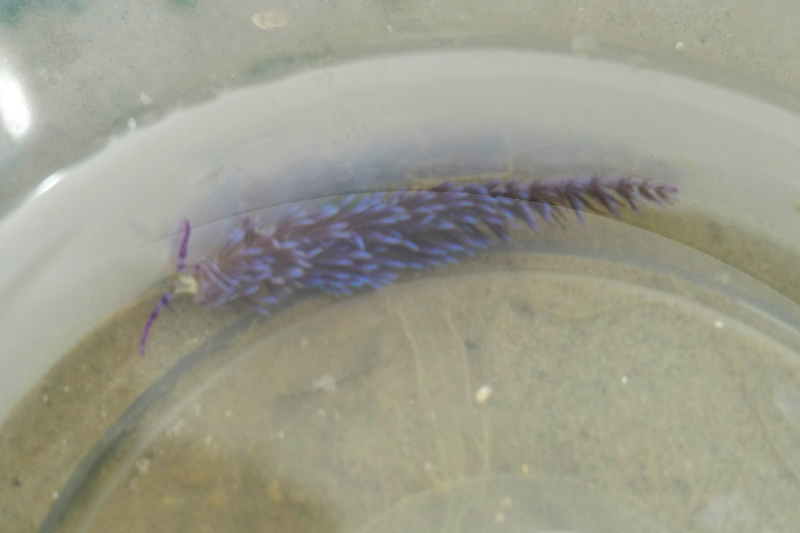 There was a Cuthona nudibranch (Cuthona sibogae). 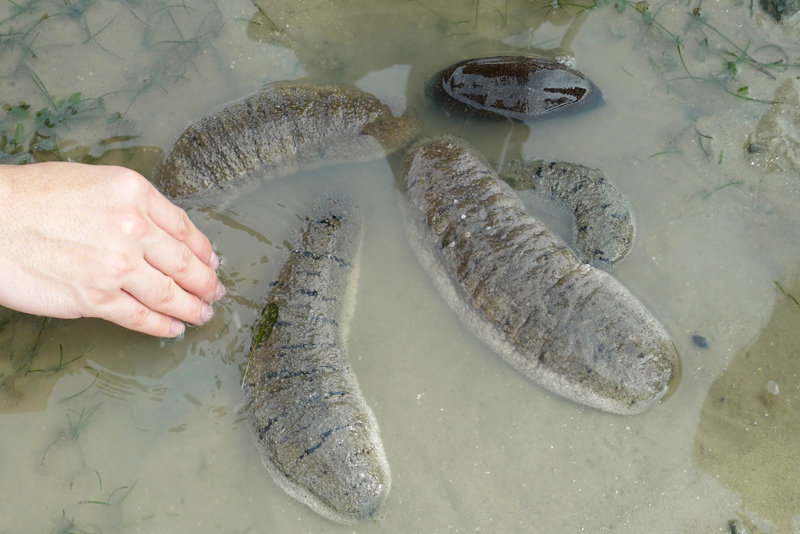 Many Garlic bread sea cucumber (Holothuria scabra) were found to show visitors. The highlight of the day for me was not the shore walk but Otters! 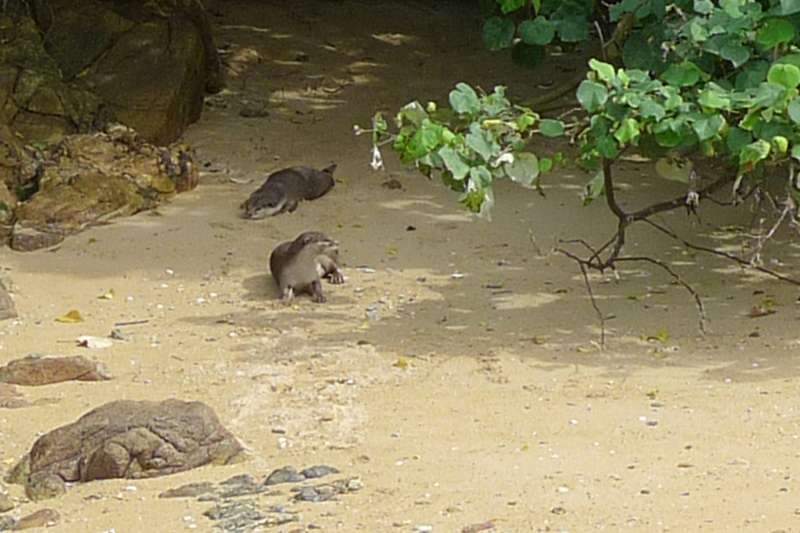 A pair of otters were spotted on the shore to the right of the pathway leading to "Chek Jawa Rear" beacon. 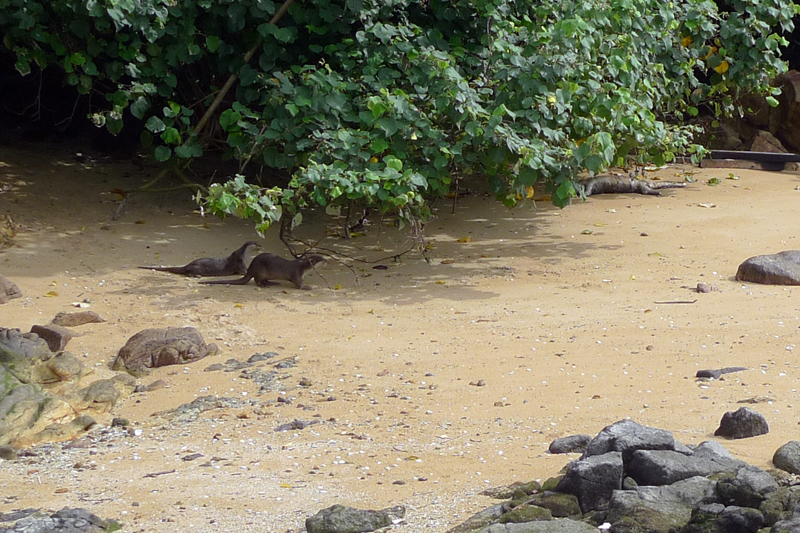 There have been sightings of otters at Chek Jawa and I finally got to see the wild otters at location. Ley Kun and I spent a good 10 minutes admiring them. 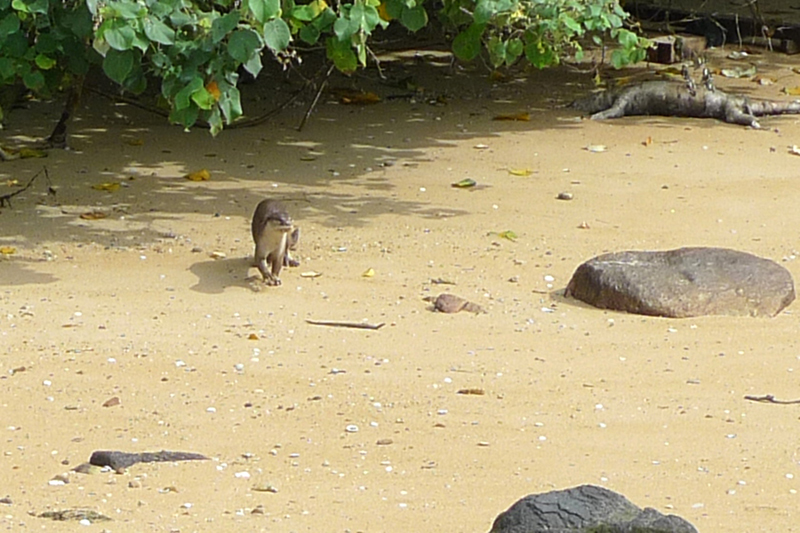 Many visitors were also delighted to see the otters at that time. 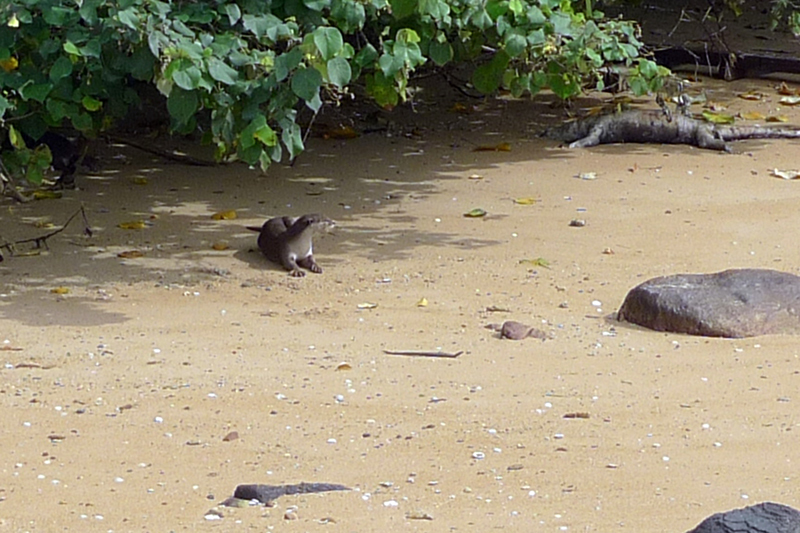 Are they the Smooth coated otter (Lutrogale perspicillata)? 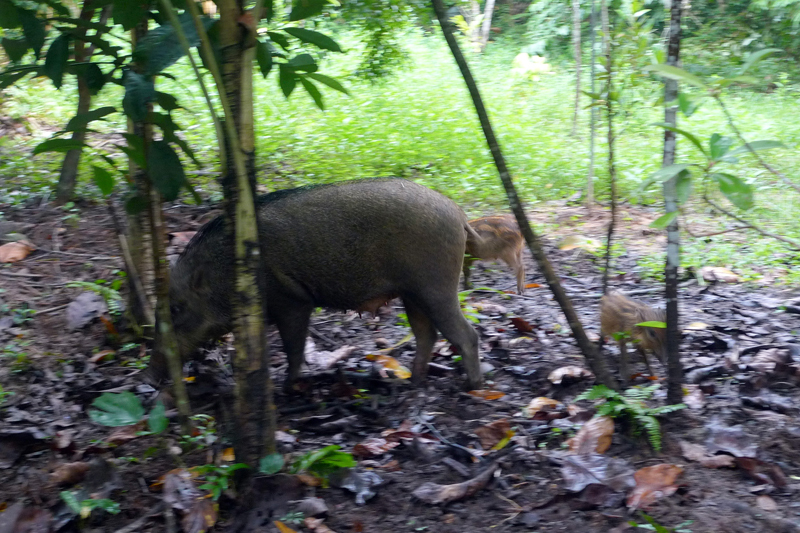 Soon it was time to go and at the hut, we met the wild boars again. 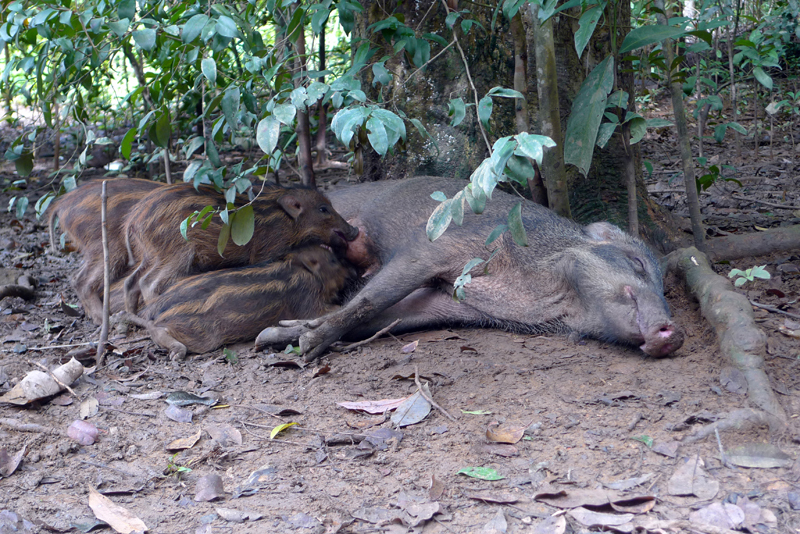 This time the piglets were having their milk break while the older siblings were having a lazy rest. 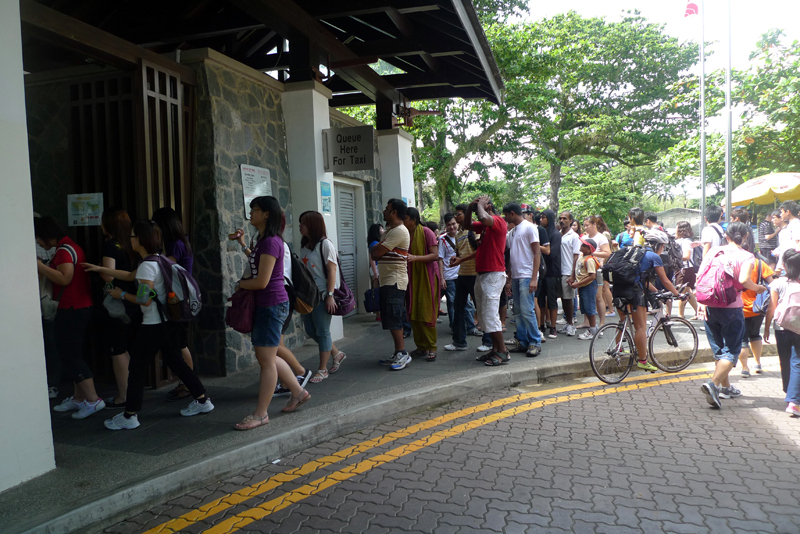 Back at the Changi Point Ferry Terminal, a very long queue was formed by visitors trying to make their way to Pulau Ubin. Look a the photo to see what I meant. This is THE bumboat queue. I wonder what is so special today? Or does this happen every Sunday? Hi, the nudibranch is a blue dragon (Pteraeolidia ianthina), not a Cuthona.